At the beginning of the latest Super Smash Bros. Ultimate Direct, Luigi fell victim to Death himself. This occurred during a sequence revealing Castlevania's Simon and Richter Belmont would be new playable fighters. Following this event, Mario's brother wasn't seen for the remainder of the Direct, which led to viewers raising concerns about his wellbeing. As Game Informer reminds us, this isn't the first time Nintendo's killed off prominent characters to introduce a new Smash fighter. DeDeDe was arguably turned to dust by K. Rool in the same trailer, and Mario and Mega Man were taken out during Ridley's big reveal. 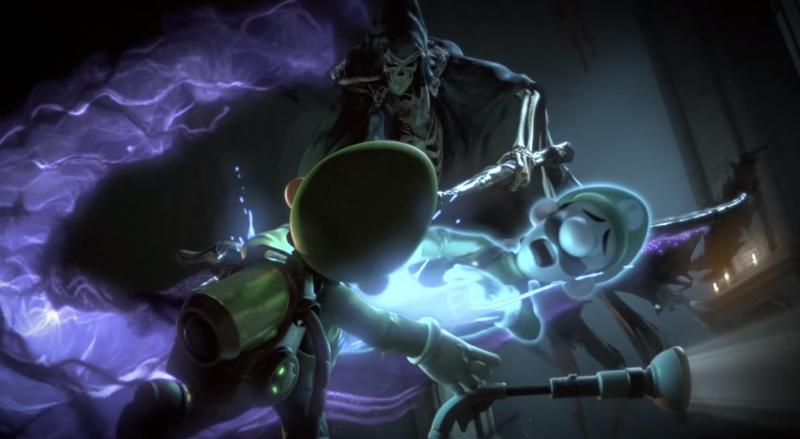 Luigi's grim fate has raised a few more eyebrows than usual because he was on the receiving end of Death's scythe, followed by a scene showing his spirit parting from his body. To be fair, though, at the end of the trailer it looks as if his spirit is about to revive his physical form before being interrupted. Were you at all traumatised by what happened to Luigi in the latest Smash Bros. Direct? Do you think it's an overreaction like the coloured chairs that were spotted during the broadcast? Tell us below. I wasn't worried. They'd never kill Mario's brother. Ever. I HATE to see that yesterday. I Stopped watching the Direct immediately after it got even worse in my eyes. @Anti-Matter But will you buy the actual game? My sis' told me that it was a shock for him when he saw that. I loved it. Even knowing the reveal beforehand didn't spoil the trailer. It's worth pointing out Luigi's death was trending more than anything revealed during the Direct. This is the worst timeline. I loved it! It was a really fun way to introduce the new characters. People upset that he died? He's a video game character, he dies hundreds of times every time you play. I absolutely adore Death’s design here. at the end i think his spirit died of freight and made a 2nd ghost. how about a Luigi's Mansion spin-off where we're on a quest to return his soul to his body? But showing an Explicit Death like that was Insulting for some peoples. @MagicEmperor I prefer death's castlevania lament of innocence form more. @Anti-Matter I'm sorry, but what? How is it insulting in any way, shape, or form? @HyliasHero I guess its insulting to immortals and maybe some religion's that believe in one's death to end in a separate form like reincarnating. Seeing how long it's been since Konami Killed Castlevania and Sakurai has managed to bring life to it again (like he did Mega Man and Kid Icarus and Fire Emblem) and I wouldn't worry about old Luigi. @Anti-Matter How? I've seen Mario drown, be squashed, burned, get electrocuted, fall into an abyss, all sorts of deaths through just playing his games. Luigi is no different. Nintendo know their main purchasers and players are adults and thus have trailers killing off their main characters in not safe for kids footage. Nintendo are on a killing spree. Guys, remember that Anti-Matter gets really upset when confronted with adult themes. He views Nintendo doing this to Luigi as a personal slight. And he already hates Smash for including Bayonetta, since she's from an M rated game. @Cobalt Is Anti-Matter your little nephew? Most people getting upset at Luigi's "death" on a trailer tend to be edgy, hipster snowflake types. dont confuse games with reality. Wipe those bubbles of snot and grow up. Please, don't send Anti-Matter off on one! Gooooood, goooooooooood. Now do the same the Waluigi! Just don't bring him back afterwards. Mwahahaha. Indeed Also, ridley killed mario and megaman. King K destroyed his imposter. Donkey shot someone with banana. in luigis mansion mario was trapped in a painting. People Whining about a cutscene, serieus? Little do people know that Luigi had entered the Konami code before entering that castle. He’ll be alright. lol waluigi is already dead, he didnt make the selection 🤣 in Mario tennis he was destroyed by a tennis bal. I actually didn't even think twice about it as I was more focused on how cool it was that Simon Belmont had just been revealed. I can't see why it's a big deal. I REALLY want a Luigi's Mansion game that looks like that! He's just resting his eyes, forever. You don't have any right to say like that. @Anti-Matter Why is it insulting? just out of curiosity. I loved this cutscene, it was funny and reinforced how silly SSB can get with such a huge cast. Like Looney Toons, Daffy Duck was hurt every few seconds and came out fine. Showing Luigi being slashed by a Grim Reaper and his soul get out from his body was Very Insulting attitude for me. I thought it was a great reveal trailer, and am somewhat amused at the thought of a Smash Bros trailer triggering Anti-matter to the point where he immediately turned off the direct. I loved the reveal cutscene. Personally, I also believe Luigi's soul was merely separated frontal his body. I don't think that when you die you can revive by possessing your own body, as he was doing by the end of the scene. Though I can understand why it could have been shocking to younger audiences, having such scary monsters attacking good ol' Luigi, he has been associated with ghosts and even dead humans with tragic stories before, in a kids' game. That’s how we know the year of Luigi has now definitively ended. Well it's a bit shocking to me because I watched Friday the 13th movie prior. So I kinda understand what Anti-matter is feeling. My kids have been laughing at the trailer though. Luigi has been killed an uncountable number of times through decades of gaming. Dumped in lava. Impaled on spikes. Crushed by Thwomps. Lost in bottomless pits. It's hysterical that all it takes is one tongue-in-cheek cutscene to get under people's skin. My nephew is 7 years old so he doesn't speak English at all ! Make your own conclusions ! @Anti-Matter "But showing an Explicit Death like that was Insulting for some peoples." Yeah it is ... to morons. @Anti-Matter Give me a break. Come back to the normal way of life and thinking. Be a logical video game player. Some moron smashed into the back of my car yesterday. [ as form of address ] You moron!" I don't think it's anyting to be upset about personally but can we stop with the namecalling? I thought we were better than this guys! I was like "DAMN!!" then lol'd afterward. Then I got to thinking: What if "Ghost Luigi" was a hint at a mechanic for a 3rd Luigi's Mansion? Great, and now, I've hyped myself on an idea that probably won't happen. Damn you Sakurai lol! I think you all should lay off @Anti-matter. Clearly he doesn’t like realistic portrayals of violence. That’s okay. We all don’t have the same tastes. Also, I think it is clear that English isn’t his first language. Cut him some slack if he might use a word that doesn’t quite make sense. EDIT: Maybe we should focus on something more interesting: Smash Bros. is getting a lot of Villian fanfare. 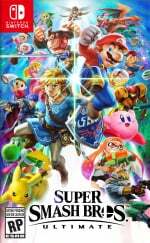 With all these playable and non-playable bosses being added, is Nintendo hinting at a new Subspace-like single-player mode?! I have to admit I was shocked to see Death's strike actually land and swipe Luigi's soul from his body. I thought a Belmont was going to interrupt it. Kudos to the cinematic team for going there. I will admit that watching Luigi fall victim to death was quite jarring, especially in such a dark and gritty setting, but it fit the Castlevania universe. And they clearly intended for the death to be comedic and temporary, as his “spirit” was clearly returning to his body at the end of the trailer. Besides, didn’t Luigi spend two whole games vacuuming up spirits like that? @NintendoFan4Lyf I was just thinking that all these cutscenes could point to something like that. And agreed, lay off @Anti-Matter . Some folks are going way too far. Let someone express their opinion and agree, disagree, or feel indifferent to it. Don’t try and invalidate their opinion. Only managed to watch the direct this morning and was blown away considering I expected a bit of a snorefest of technical moves etc. All those options man. It's amazing. Now in the next trailer Luigi goes back into his body, and angry at past events becomes Waluigi, who then is killed off by Rex, game complete. Luigi is now part of King Boo's crew. Definitely one of the best reveal trailers though K. Rool’s immediately topped it. Overall, I enjoyed the whole thing. @Anti-Matter Ignore them all! To each their own. But I disagree with you. I loved the trailer. IMO it was the best Smash reveal ever!!!! @Anti-Matter Luigi is not a real person. He is a video game/cartoon character. He cannot "die". It didn't upset me, but to each his own. Guys, Luigi’s fine! Dr. Mario fixed him up. Thank Sakurai for bringing Dr. Mario back, otherwise Luigi would be toast. These trailers were very well made! @Anti-Matter You stating this is an explicit death and insulting really makes me think more and more you are just trolling us with how you feel about things lol. The guy plays fashion designer on the DS, is always talking about wanting to see chibi shirless ripped men in video games. He is a weird sexually confused man child. Cut him some slack. But if Luigi remains a ghost, he would be a perfect research subject for E. Gadd! @Tyranexx If Luigi remains a ghost, he could also haunt those girls in Fatal Frame. Seeing Luigi in the Castlevania universe, facing all those monsters was surprising. While I admit the trailer was a WEE BIT frightening, the scene where Luigi gets slashed wasn't out of place. Almost all the scenes with Luigi were slightly serious, but clearly cartoonish(Luigi had some cartoonish cutscenes in the Luigi Mansion Series). Even Luigi getting striked had sprinkles of sillyness. From the comments i've seen on Youtube about this, it's mostly taken as some kind of joke(like what happened to Mega Man and Mario). @Anti-Matter I have as much right to express my opinion as you do. And right now my opinion is that you need to grow up. Don't watch trailers if all you ever complain about is mature content. I think Hasbro is the company you should be a fan off. I have to admit the last thing I expected in a Nintendo trailer was Luigi killed by a scythe in a gothic castle. Then I remembered I've killed Luigi at least 2000 times since the mid 80's and realized I'm the bigger monster. This was really creepy for a usually family-friendly Nintendo Direct, in my opinion. My reaction to that scene was "oh God NO"
I thought the video was funny and clever; Luigi's mansion gear has no effect on the actual horror monsters in Dracula's Castle. And also, Luigi is afraid of ghosts, so the most logical thing to do for humor's sake is to make him a ghost. @DawgP Holy crap, you're right! Well I feel like the weird one. My first (maybe second) thought wasn't that he got x_x but that he can now fight ghost on a even plane like Ichigo in Bleach. That would make for an interest game gimmick. They can be sneaky on Luigi becoming a ghost like they did to Zelda in LoZ: Spirit Tracks. Not dead, just seperated from the body due to dark magic. Also, i think luigi laid the foundation of this storymode (spirits) if that is the actual name. in brawl they turned into trophies/statues and their posessed copies. Who knows what will happen here, but i think it will be a masterpiece looking at the part where dracula apeared or the monster hunter creature. @Al_Godoy wow, kink-shaming, ableism and homophobia in just one sentence (and you also broke multiple of the community rules of this site :'D). Congratulations. I loved it! Very well made trailer, craftsmanship really. I personally loved it. It was shocking that Nintendo would be that brutal with one of its beloved signature characters. What it showed to me is that this is a new Nintendo that isn't afraid of taking a pretty bold risk - especially with its top characters. We think Mario, Luigi, Peach, Kirby, etc are all invincible, but when they aren't, it stuns us and leaves an impression. watching reaction videos from the Direct and people were laughing, silent, stunned... but they were all shocked because it was unexpected. And that is the kind of Nintendo we need to see glimpses of - the one that brings us unexpected surprises and isn't afraid to go against what is safe on occasion. @kuromantic I did not discriminate, I merely described some of the things he posts about. "Sexually confused" and "man-child" could be considered insults, but I would let him marry a chibi shirless ripped male, I would bake their cake. But the man is further way from me in video game taste than my 13 year old niece. That's why I said: let him be. I mean, this was by far the best character intro in the history of smash. @flapjack-ashley It's weird to say, but I was pleasantly surprised when I saw that scene with Luigi. It's cool to see your favourite characters go all-out/get beaten in an intense fight(ESPECIALLY IN THEEEESSSSSE CINEMATIC ANIMATIONS). My 3 year old asked at bed time “what happened to Luigi” and stated the mummy scared her. Nintendo scaring the kiddos. Grins like a Cheshire Cat You mad? 😁 She is my main, but I would love to see her participate in one of these trailers. She can be so tricky to fight against(especially technical peach mains). A lot of Peach mains like to jump then quickly fall to the ground(I think it has a name, but can't recall) deceiving you that she would use an aerial, but then quickly goes for a grab or some other attack. I find her the most pressurizing character in the game both on shield AND mentally. Look at Samsora, possibly the best Peach player out there. He'd be a nightmare to fight against. Anyway, it would be nice to see her in one of these next trailers:) Even if she doesn't lose a "1-UP"
"The guy plays fashion designer on the DS, is always talking about wanting to see chibi shirless ripped men in video games. He is a weird sexually confused man child. Cut him some slack." Is that an Insult toward me ? All I can say is that castlevania stuff just made me want a castlevania title on switch so much! This video of luigi shows he is immortal! 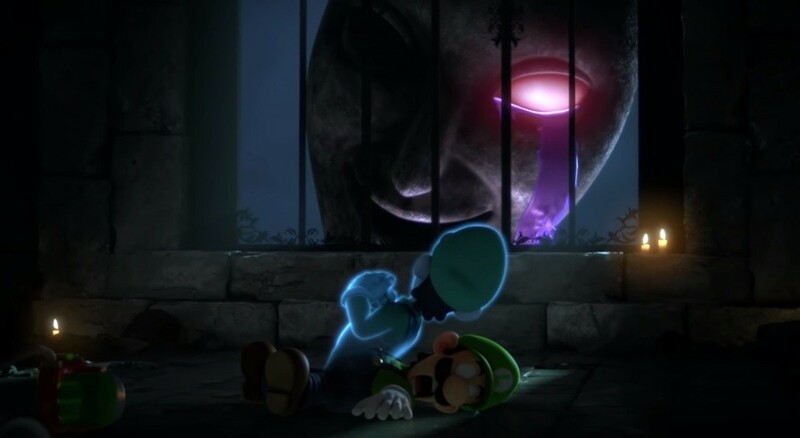 grim reaper took his soul, but luigi just returns to his body. His only weakness is that he is scared of ghosts lol. He was already past out before grim reaper tried to take his soul. when he returns into his body he will turn into Super luigi wearing his cape and do a Kamehameha at draculas castle. So dont worry. Well this comment section was a wild ride! I loved the trailer, and the inclusion of a spirit mode seems more likely with every reveal! His ghost returned to his body at the end, so nothing to worry!